The first thing to say about sport injuries is that the majority are actually avoidable. 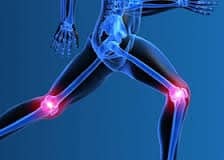 This may be of little comfort if you are currently injured, but most sports injuries relate to an acute trauma or repetitive stressing of soft tissue, often avoidable by looking at technique, posture and approach. Many occupations such as the building trade, involve the repetitive use of part of the body that can lead to inflammation of the tendons, and other injuries. Children tend to be more prone to suffer a sports injury than adults. The most common types of sports injuries are those that affect the soft tissue, not bones. 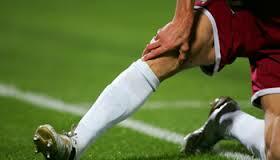 Typical examples are bruising, sprains (ligament tears) and strains (muscle and tendon tears). Symptoms typically after the injury are severe pain, inability to put weight on the painful limb or move it, swelling and tenderness to touch. Inflammation often referred to as tendonitis and bursitis is more chronic in nature caused often by over use and long term stressing of joints and their soft tissue structures. Causes can be wide-ranging but the most common are poor equipment and techniques, high speed collision between players and wear and tear of areas sustaining repetitive use. Most people are familiar with the reactive treatments following an injury, including bandaging and strapping, icing, rest and often anti-inflammatories. However, what also needs to happen, to avoid the injury recurring, is a complete assessment of the person’s musculoskeletal system, occupation, hobbies and general health. That will ensure that the person is returned to long term fitness, by tailoring the treatment and the rehabilitation to their specific needs.